In mid-August the NHL announced their new long-term deal with Adidas to begin producing the leagues jerseys in 2017-18 for every team. 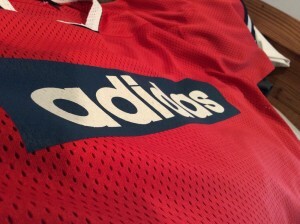 Prior to this announcement, the official provider of NHL jerseys had been Reebok, dating back to 2007. But like all things in sports and in life, they change and we have to roll with the punches, and the new Adidas NHL jerseys will be here before you know it. What does this new apparel company, new design, and potential new sponsors mean for your team’s coveted jersey? Could the logo you’ve come to know and love as a young fan soon be replaced with a corporate logo in the coming years? Read more about the deal, the finances and the relationships with Reebok, Adidas and their history with professional sports here . There has been a lot of talk about selling advertising space on the NHL jerseys, though nothing has been confirmed yet. If you could design a hockey jersey, what would you do differently or bring back from older retro jerseys? And don’t forget, for all your NHL jersey needs, be sure to check out Hockey World where you can show your team spirit, whoever it is you’re rooting for, for less than anywhere else. The holidays are right around the corner, so get ready to stock up on your favorite NHL gear for in the stands and on the ice!